1) Submit your change of address form with the postal office. Easiest done online! If you wait until the last minute, you may want to leave a self-addressed, postage paid envelope with the new occupants to forward any items that come before the change takes effect. 2) Pick up copies of medical records for the entire family, including your pets. 3) Refill all current prescriptions or request a transfer of your scripts to a pharmacy at your new destination. 4) Return library books and rented DVDs. 5) Cancel any local memberships, such as your gym. 6) Pick up any dry cleaning, special orders, or photos you have left outstanding in the local area. 7) Retrieve spare keys or garage door openers you have left with the neighbors. 8) Share coupons or punch cards for local vendors with neighbors and friends. 9) Purchase your favorite local items that you may not be able to find at your new destination. 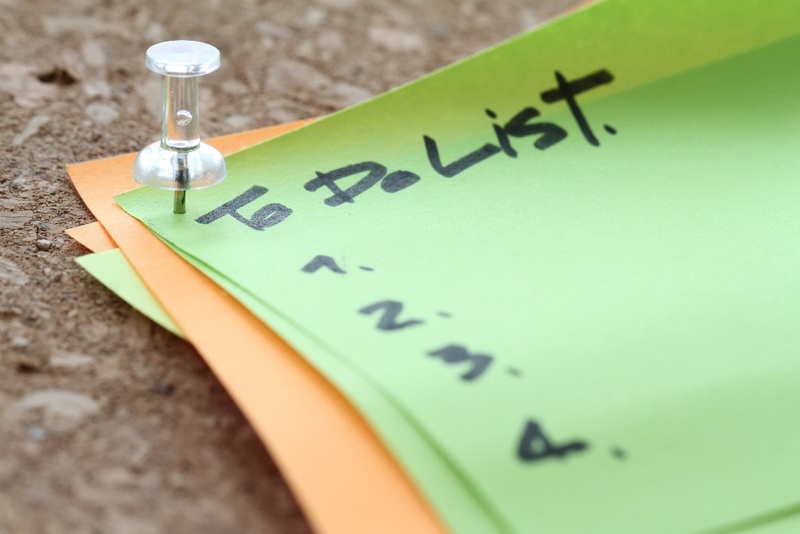 10) Organize and keep important documents, phone numbers, maps and travel information in a safe, secure location that can be easily accessed while you are on the move! Want more great tips? 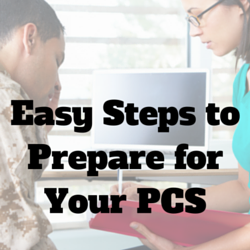 Click below to download your FREE PCS e-book, Quick and Easy Steps to Prepare for Your PCS.